Prices are already increasing on flights to Europe this summer, and from what I can gather, they’re not going to get any lower. It’s only the beginning of February, and while it seems like I should have plenty of time to make a decision about what I want to do this summer, if the answer is “walk another Camino” then I think I’d better decide soon. The biggest question that I’m asking myself is this: Do I want to spend a month doing something very similar to what I just did last year? As an American, I’m very lucky to have two months of vacation time every summer. Right now, I don’t have to make big sacrifices in order to travel to Spain and walk for a month: I have the time, I don’t have to quit my job or leave a husband and kids, and with most of my gear already purchased, this is a fairly affordable trip (if you consider what it would typically cost to spend a month in Europe). But by the same token, I look at this chunk of time and think: I have two months (well, actually just a month, since there’s a July wedding back in the states that I don’t want to miss), and I might not always have this same freedom and flexibility. Is there anywhere else I’d like to go? Is there anything else I’d like to do? The answer, of course, is yes. There are so many new things I’d like to try and new places I’d like to travel to, but maybe the real question is this: Is there anything else I’d rather do right now than walk another Camino? And I’m struggling to come up with anything else. There are lots of factors, of course. There are places I could travel to and experiences I could have, but they’d require me to go alone, and to be alone for most of the trip. I don’t mind solo-traveling- and in fact, there are lots of things about it that I love- but I worry that long-term solo-traveling would be hard for me. The writer’s retreat in France was perfect, and so was the Camino: I had lots of time alone, AND the chance to interact with the same people for weeks at a time. But honestly, I just want to walk another Camino. I felt this as I arrived in Santiago- I want to keep walking. I’ve felt it in the months since I’ve been home, and when I think about this summer, nothing that I can come up with is as enticing as another long walk. There are fears and worries. Is it too soon to walk another Camino? In many ways, I’m still processing my trip from last summer, and I worry that rushing off to do another walk is going to blur the lines between the first experience and a new one. 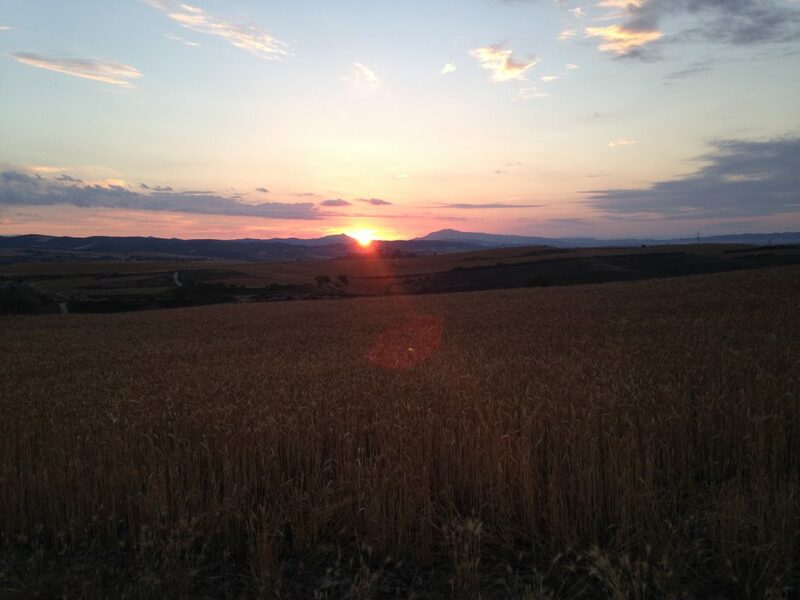 I had such an amazing time on the Camino Frances and I know that the next walk is going to be different. I worry that I will compare the two, that I will always be chasing that first experience and that I am going to be disappointed. While the Camino del Norte is gaining in popularity, the numbers of pilgrims who walk this route is significantly fewer than the Frances. Of the pilgrims who received a compostela in Santiago in 2014, 68% walked the Frances and about 6% walked the Norte. I’ll still be able to meet other people, but it is going to be a very, very different atmosphere than what I knew last year. I have these visions of myself on the Norte: waking up early and stopping whenever I want for a café con leche, arriving at my albergue in the early afternoon and then lounging on a beach for a few hours. Meeting up with friends at night for tapas and wine. Honestly, is there a better way to spend a month than this?? But the reality is going to be different. The Camino Frances wasn’t exactly a walk in the park, and the Camino del Norte is definitely not going to be a walk in the park. This is going to be a much more physically challenging route, and I should probably kiss goodbye my multiple café con leche stops, as the route is more isolated and doesn’t pass through as many towns and villages (although past pilgrims, please correct me if I’m wrong!). My walking days will probably be longer because of the challenge of the walk, and there may be many days when I will be forced to keep walking in order to find a town with an albergue. Having not studied the route very closely, I have no idea how often I’ll actually be close to a beach. And even though I should have learned by now that I can make friends and that a Camino is one of the easier places to do it, I still worry that without as many pilgrims, I’ll spend a lot more time alone. All of this being said, I still feel the call of doing another Camino. It’s not out of my system, and if anything, it’s only just gotten into my system. I love the idea of attempting something even more physically challenging, and I love the idea of entire days of walking where I don’t encounter very many people. Those were my favorite days on the Camino Frances, after all. I love the idea of trying to learn a little Spanish before I go, I love the thought of getting to see even more of Spain, I love the idea of being by the mountains and the ocean, and maybe I won’t get to drink as many café con leches, but I love the idea that they can once again be part of my daily routine. And finally, here’s the thing: I’ve already done a pilgrimage. Maybe the Norte will be another one (and certainly in some ways it will be), but I don’t necessarily need to have the same kind of experience that I did last year. 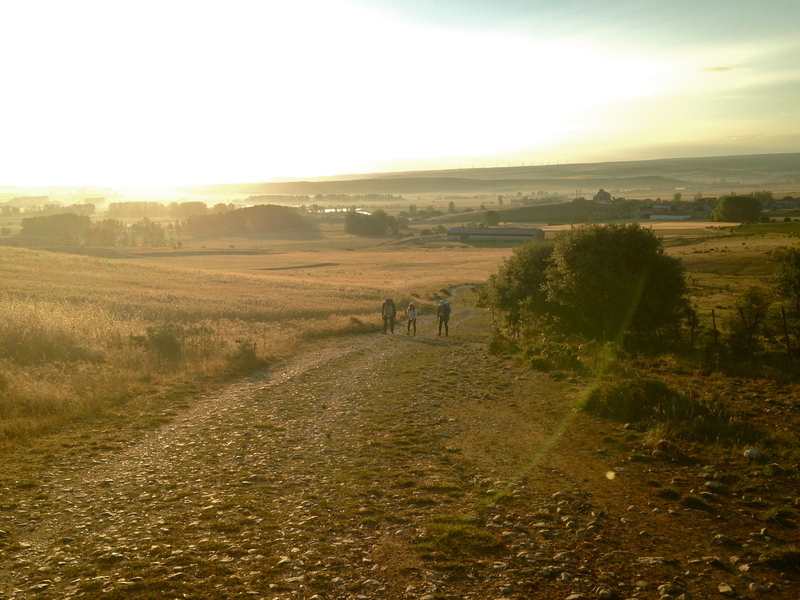 On that first Camino, I knew that I wanted to be on a pilgrimage. I wanted to walk the entire thing, I wanted to always stay in albergues, I wanted to stop in churches, I wanted Santiago to be my destination. This time? I just want to walk again. I want to be open to whatever kind of experience the Camino will give me, and maybe it will just be a long, quiet walk. Maybe I will make some really strong connections again. Maybe I’ll find that it’s even more of a pilgrimage for me than the Frances was. Maybe I’ll finish and immediately want to do another Camino. Maybe I’ll finish and know that I’m done walking. If you’ve read this far, thanks for bearing with me as I get all of these thoughts onto the page. And feel free to chime in with your opinion: Should I walk another Camino? If you were in my shoes (speaking of shoes, I’ll need to buy a new pair), would you do another long walk? Or would you decide that it’s time for a different kind of experience? It sounds like you know what you really want to do. I walked the Norte two years ago and met several women who were walking alone ( two of them from Switzerland! ). They both said they were only ever alone when they wanted to be. There is a community spirit on the walk and plenty of good people walking. I’m sure you would love it. It took me 35 days by the way and I finished the second half on my own as my walking partner got ill and had to go home. I actually preferred being on my own and met a lovely group of different walkers who became my little ‘Camino family’. go for it! It’s really good to hear that there’s still a community spirit on this walk, and that you found a Camino family. I think that’s definitely something I’d want if I do another Camino, and I just worry that without as many people walking it will be harder to find. (Then again, I’ve read that because there are fewer albergues, you end up staying in the same places with the same people a lot). I’m curious, what time of year did you walk the Norte? Speaking as someone who also found Cornish Tim via a Camino blog, I’d like to point out that as much as you want to do the Camino, maybe there’s a chance you just want to walk somewhere. In that case, you might consider the National Trail which runs right by Tim’s place in Cornwall (Truro, right? Correct me if I’m wrong, Tim). Like the Camino del Norte, it follows the North Atlantic, it’s super peaceful, and you have the added benefit of speaking in English. Either way it sounds like you’re not done walking–whatever you do this summer, go somewhere in Europe (it seems like that much is obvious) and walk. Oh wow, Tim. You are here as well. There is a camino blog community! Some of the places I’ve been, I’d love to go back to. But when I think about it, There are too many places that I need to conquer, and I wonder if it is a waste if I’m going back to a place I already have conquered – although it’ll be a different experience. My mum is itching to do the camino again though, so maybe it’s something different to the adventures I’ve experienced. Remember that you might only be missing the experience, rather than the place. I often miss things this way, like Tucson, Arizona. I had the time of my life there, but Tucson is a shithole! So it might not live up to my expectations when I return. You know what I mean? I DO know what you mean, and it’s the main reason that I’m hesitating about doing another Camino. I’m really craving the same sort of experience that I had on the Camino… and who’s to say that I wouldn’t have an equally great experience doing something completely different somewhere else? I bet I could, and yet, I don’t feel like I’m done with the Camino. Some people walk a Camino and know that they never need to do another one… but a lot of us feel called back, almost instantly. I bet you’re mom is in this group. 🙂 There’s just something about this sort of experience that is very unique, I think. Still though, I’m torn. Thank you so much for this comment, it’s keeping me thinking about it all!! I haven’t yet walked the Norté, several of my chapter members have and it seems so very, very magical. I’m being called by the Chemin Le Puy or the Chemin D’Arles through Provence, France – why not give those routes a little research, each is approximately as long as the Francés in fact you can even hook up to the Francés or Norté from either of them. If I can make that happen after the Portugués tour I am leading in May, and you choose to do one of them, we may just meet up with each other. Thanks for your comment, it is so good to hear that the Norte is a magical route. I started walking from Le Puy last year with five walking friends. We are doing it in two week stints. Got to Conques last year and continue through Cahors this May. It is a lovely walk but lacks the ‘Camino’ feel one gets in Spain – especially as you get closer to Santiago. Also more expensive as there are fewer pilgrim auberges. Lovely private places however. I’m looking forward to May when we head off again. One last place where I’ll put in my two cents: If you’re going to walk the del Norte, you might as well decide to walk somewhere in France. I’ve heard the Le Puy is a bit crowded in summertime so you will still have the social experience (albeit with a high concentration of French speakers; sadly most Americans have no idea the Camino exists beyond Spain), but there will also be so much more time for you to think. Not sure how introverted you are, but walking the Chemind du Vezelay was perfect for me because I only met 10 other pilgrims for the whole month that I walked it. As a was reading, as soon as I had a thought about what you were you wrote it on the next line. My train of thought related to your questions was very similar to yours. It sounds like walking is what you want to do. And I those fears you have might just end up being overtaken by another great but really different experience. It also sounds like a bit more challenging, in a good way since you tried something similar already. But if you decided to do it you should probably have a very different expectation, or even better, have no expectations and just live it. I agree with you completely- if I DO decide to walk another Camino, I need to let go of all expectations. Otherwise I worry that I’d set myself up for disappointment (plus, on my first Camino, one of my big lessons was to try to let go of what I expected to happen… hard to do, but so good in the end). I know exactly what you mean! I walked the Frances in May 2013 then walked 3 caminos in 2014 because I wanted to keep walking!! I met many people when I was on the Primitivo who started on the Norte then took the Primitivo and they were glad they did so the got to have the combination of the beach and mountains. I’ve not walked the norte though so can’t advise, but if you like mountains I can’t recommend the Primitivo enough! Buen Camino! Thanks for this comment! It’s so good to hear that others feel the same way (and I love that you walked 3 caminos the year after your first. I don’t think I’ll be able to do that, but believe me, I’d like to!). I’ve read that a lot of pilgrims who walk the Norte join up with the Primitivo and walk that to Santiago. I haven’t started to REALLY look into this yet, so the Primitivo is something that I’ll definitely have to research. 🙂 Thanks for the tip! You already know I’m biased because I’m a Camino addict and have actually recently been toying with the idea of doing a part of the Norte this year myself, but I say walk again. Maybe the Norte or one of the other less-traveled routes (I can’t say enough good things about the Baztan, the Salvador, or the Primitivo, although the first 2 lack the cafe con leche frequency), but what about some of the other “long walk” options out there if you’re worried about another Camino being too similar? Something in the UK or even a pilgrimage trail like St. Olaf’s Way in Norway? I think part of what I need to do right now is research, and part of that includes other long distance walks, like you’ve mentioned. I’ve read some other blogs of people who have done various long-distance treks, and some are intriguing. I’m just so torn… the Camino was so magical, and part of me just wants to experience more of that magic (or at least see if that magic is still there on another route). I’ll keep you posted, and if I decide to link up with the Primitivo from the Norte, I will definitely be coming to you with questions/advice! The magic has been there on every route I’ve taken, which is why I keep going back and why I think you’ll find it again, no matter where you go. Even on the Baztan, where Jacob and I were the only pilgrims, the people we met were so amazingly welcoming and I had such a sense of renewal and peace. I can’t wait to hear what you decide and how it turns out. I agree with Tim that it seems you’ve already answered your own question, Nadine. 🙂 Logic has very little to do with answering a call to pilgrimage. You can argue pros and cons, but the answer is still there if you listen. I think the question is why you want to do another Camino. Why do you want to keep on walking? What is it in the Camino that you think you cannot find anywhere else? Do you need the Camino? Why? And after you do another Camino, do you think you can get back to ordinary life, or will you always feel like doing another Camino? And again, why? I know I’m being a bit of a devil’s advocate here. 🙂 I’ve never had the opportunity to do the Camino yet, although I’ve wanted to for so long, and I’m sure it must be wonderful, but I’m thinking if it gets to a point where you will always need the Camino, then perhaps it isn’t the answer to your life’s current question. Do you know what I mean? Ah, this comment gets to the heart of why I wrote this post. Great questions, and I’ve certainly asked myself many of them in the past few months. So right now, the best answer to the question of ‘why’ is: because I want to. At the moment I can’t think of anything I’d like to do more, even though I have a growing list of things that I would love to do. As long as the Camino remains at the top of that list, then I think I might give it another go. Thanks for this comment, and I do hope that you’ll be able to make it to the Camino one day!! Dear Nadine, I can so relate with your last post. When I did the Camino Frances, I thought I’d only do it once. To Finisterre and that is it. But once I got home, I knew I just had to do it again. I am a junkie now. Having done my second camino now, I can tell you that camino experiences are very different. You cannot help but compare, though really you will have very different experiences, meet different people. It is all a big adventure. I am also traveling to other places between the camino experiences, but I couldn’t find this sense of community and feeling home while having such a simple lifestyle anywhere else. Thank you for this comment, and I love how you described this aspect of the Camino: “this sense of community and feeling home”. I agree with this, and even though I haven’t done a ton of traveling, this was part of what struck me so much about the Camino: I was so, so comfortable. I remember walking around Burgos and even though I didn’t know the city at all, I felt so at ease, and I was running into people I knew constantly. It was such an amazing feeling to have in a foreign country, and a very unique kind of experience. I’m loving your updates on your Norte blog… keep them coming!! If you feel you must, then do it. Maybe it is to do something, even though there is no reason why. Those are actually the hardest things to do. Nadine, I think the Camino experience IS different from other long walks. There is a magical quality to it. Other people have put it very eloquently in the previous comments. As you know I went back in September to repeat a small section of the Frances. It was very different second time round, but after 5 days when I had to say goodbye to some lovely people I was longing to carry on walking to Santiago with them. You already know how to follow your heart. Just look for the yellow flechas. I’m having nearly the same debate myself right now! I did the Camino Frances last September and am now tentatively planning the Norte in September this year. And as you weigh the pros and cons, it’s mirroring my inner dialogue. Best wishes in your decisions!